Another Sneak Peek at upcoming CRAZINESS class offerings! OMG, Celeste Beck, of Goat Feather Studios, has agreed to teach another class at our October Craziness event! 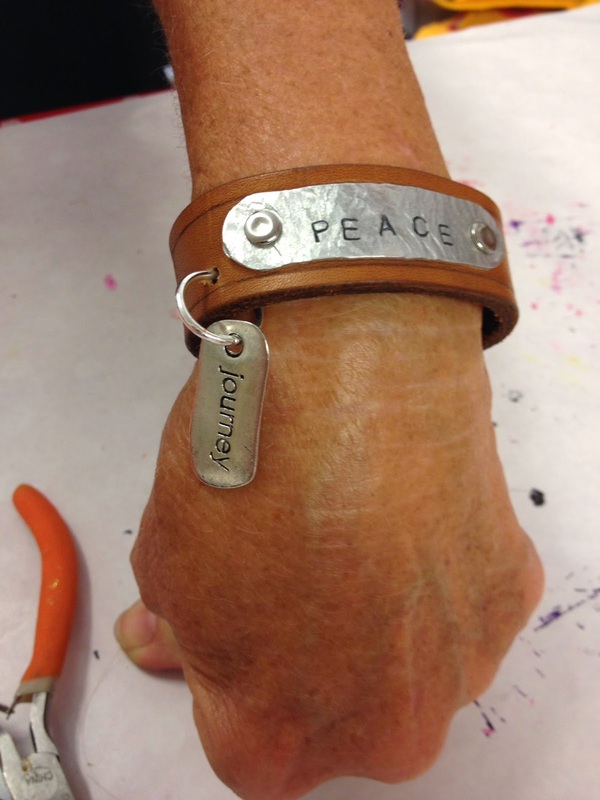 Get ready to take a step back in time (think the swinging 60s) as you have the opportunity to create TWO leather bracelets with engraved metal tags attached...no censorship...just imagine the fun you can have - ha!! 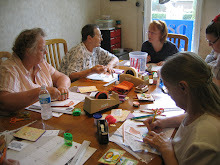 The class will be held Friday morning, October 10, and is sure to be a smashing hit!! Better block out the entire 4 and a half days because you do not want to be left out of this CRAZINESS! !